We drink Beaujolais year round, but it fits particularly well in the fall. Most of our Beaujolais is on the more serious end of the spectrum, hailing from the ten famous towns that dot the region. But we also enjoy the simpler style — pure fruit, no oak, low tannin, and a pleasant, crackling mouthfeel. Most $16 Beaujolais is mass-market, large volume wine rushed to market soon after fermentation. 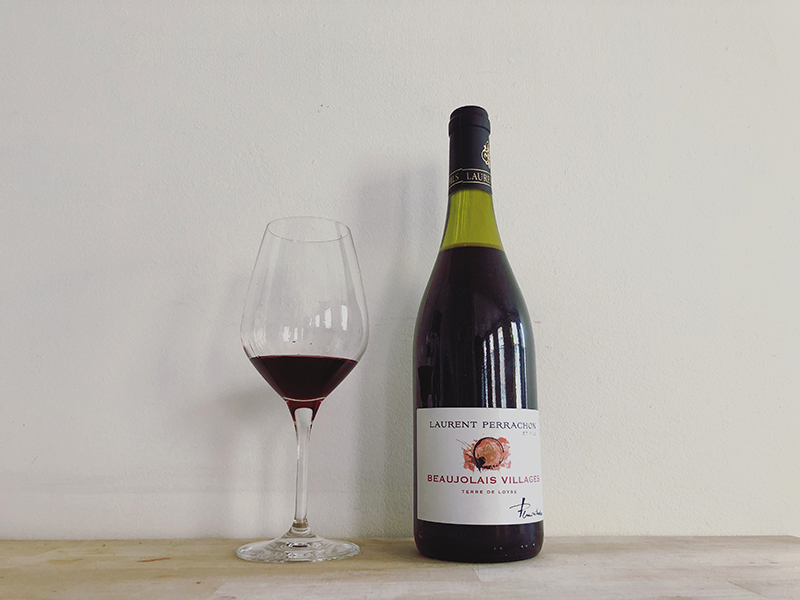 Laurent Perrachon’s is a different sort — made with hand picked grapes from 45 year old vines. It shows all of the jubilant, carefree spirit of the region instead of the blandness of much cheap Beaujolais. Perrachon’s 2017 Beaujolais Villages is juicy and refreshing. Unlike Perrachon’s more serious (but also delicious) wines from Juliénas and Moulin-a-Vent, this one is vat raised, and the vibrant ripe raspberry fruit shows through beautifully. The nose is clean and floral, and the mouth is smooth, lively, and refreshing. With Thanksgiving only three weeks away, this is a no brainer for an affordable, crowd pleasing red. Instead of the usual overmarketed and underproduced 2018 gamay for $15, try this carefully crafted old-vine 2017 gamay for a dollar more.